Oakland is a town in the west-central part of Garrett County, Maryland. Start off your visit on the 26th (Mon): have fun and explore at The Discovery Center, explore the activities along Deep Creek Lake State Park, then immerse yourself in nature at Swallow Falls State Park, and finally take an in-depth tour of The Oakland B&O Railroad Museum. On the 27th (Tue), you'll have a packed day of sightseeing: examine the collection at Garrett County Historical Museum, then play a few rounds at Lodestone Golf Course, and then experience rural life at Firefly Farms. To see ratings, traveler tips, and more tourist information, use the Oakland trip planner . Konni, India to Oakland is an approximately 34-hour flight. You'll gain 10 hours traveling from Konni to Oakland due to the time zone difference. Traveling from Konni in November, expect Oakland to be much colder, temps between 8°C and 0°C. Finish your sightseeing early on the 27th (Tue) so you can travel to Cumberland. Cumberland, officially the City of Cumberland, is a western gateway city and seat of Allegany County, Maryland, United States and the primary city of the Cumberland, MD-WV Metropolitan Statistical Area. Start off your visit on the 28th (Wed): grab your bike and head to Great Allegheny Passage, contemplate the long history of Paw Paw Tunnel, and then take some stellar pictures from Dans Rock Scenic Overlook. On the 29th (Thu), you'll have a packed day of sightseeing: contemplate the long history of Spruce Forest Artisan Village, steep yourself in history at Gordon-Roberts House, then see the interesting displays at Allegany Museum, and finally do a tasting at Charis Winery. For other places to visit, ratings, reviews, and tourist information, read our Cumberland day trip planning app . You can drive from Oakland to Cumberland in 1.5 hours. Traveling from Oakland in November, you will find days in Cumberland are somewhat warmer (14°C), and nights are about the same (1°C). Wrap up your sightseeing on the 29th (Thu) early enough to travel to Sharpsburg. Sharpsburg is a town in Washington County, Maryland, United States, located approximately 13mi south of Hagerstown. On the 30th (Fri), pause for some photo ops at Antietam National Battlefield. Get ready for a full day of sightseeing on the next day: play a few rounds at Worthington Manor Golf Club and then learn about winemaking at Red Heifer Winery. To see traveler tips, reviews, where to stay, and more tourist information, use the Sharpsburg online road trip planner . You can drive from Cumberland to Sharpsburg in 1.5 hours. In November, plan for daily highs up to 15°C, and evening lows to 1°C. Finish up your sightseeing early on the 1st (Sat) so you can travel to Baltimore. Get some cultural insight at U.S. Naval Academy and Fell's Point. Your inner history buff will appreciate Fort McHenry National Monument and Old Wye Church. You'll find plenty of places to visit near Baltimore: Adkins Arboretum (in Ridgely) and Annapolis (Quiet Waters Park & Maryland State House). Next up on the itinerary: try to win big at Horseshoe Casino, look for all kinds of wild species at Centennial Park, explore the world behind art at Baltimore Museum of Art, and see the interesting displays at Baltimore and Ohio Railroad Museum. To see ratings, where to stay, and more tourist information, read Baltimore tour itinerary planner . Getting from Sharpsburg to Baltimore by car takes about 1.5 hours. Traveling from Sharpsburg in December, plan for somewhat warmer nights in Baltimore, with lows around 3°C. Finish up your sightseeing early on the 5th (Wed) so you can go by car to Ocean City. Explore hidden gems such as Assateague State Park and Rum Pointe Seaside Golf Links. Visiting Eagle's Landing Golf Course and Lost Treasure Golf will get you outdoors. You'll find plenty of places to visit near Ocean City: Delmarva Discovery Center (in Pocomoke City) and Salisbury Zoo (in Salisbury). There's much more to do: tour the pleasant surroundings at Ocean City Beach, view the masterpieces at Snapdragon, enjoy some diversion at Flashback Old Time Photos, and don't miss a visit to Main Street Berlin. 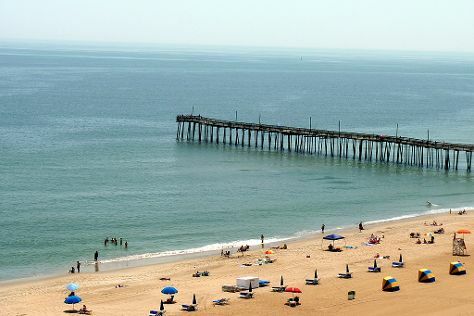 To see traveler tips, reviews, maps, and other tourist information, read Ocean City trip itinerary planner. You can drive from Baltimore to Ocean City in 3 hours. Other options are to take a bus; or take a shuttle. In December in Ocean City, expect temperatures between 12°C during the day and 1°C at night. Cap off your sightseeing on the 9th (Sun) early enough to travel to Solomons. Solomons, also known as Solomons Island, is an unincorporated community and census-designated place (CDP) in Calvert County, Maryland, United States. Get some cultural insight at Harriet Tubman Underground Railroad National Historical Park and Calvert Marine Museum and Drum Point Lighthouse. Your inner history buff will appreciate Choptank River Lighthouse and Piney Point Lighthouse. Venture out of the city with trips to Cambridge (Blackwater National Wildlife Refuge & Emily’s Produce), Slack Winery (in Ridge) and Layton's Chance Vineyard and Winery (in Vienna). And it doesn't end there: admire the majestic nature at Jefferson Patterson Park & Museum, take in the exciting artwork at North End Gallery, learn about winemaking at Port of Leonardtown Winery, and take an in-depth tour of Historic St. Mary's City. To find where to stay, more things to do, traveler tips, and more tourist information, go to the Solomons journey maker website . You can drive from Ocean City to Solomons in 3.5 hours. In December, plan for daily highs up to 11°C, and evening lows to 1°C. Cap off your sightseeing on the 13th (Thu) early enough to travel back home.